It's surprising to see Sam Concepcion nowadays! Aside from growing as a handsome young man, Sam Concepcion is now turning hot and yummy! 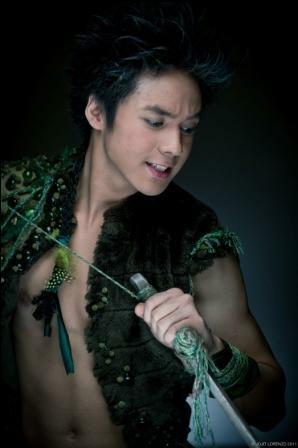 Sam's promotional pictures for his upcoming musical stage play "Peter Pan" reveals a sexier and yummier Sam Concepcion! "Peter Pan" is the biggest musical event of the year brought by STAGES and Repertory Philippines. This is topbilled by the young heartthrob Sam Concepcion inline with his 10th year anniversary in showbiz! 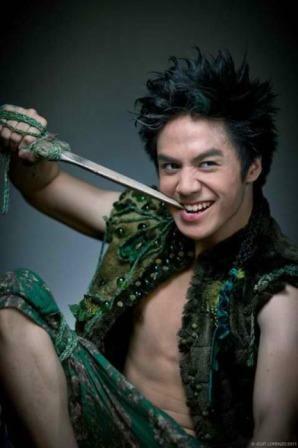 "Peter Pan" goes onstage at the Meralco Theater from September 30 to October 30, 2011. "Peter Pan" is another musical production led by Sam. Sam already topbilled three of the hit stage productions namely "The Lion, The Witch, and The Wardrobe," "High School Musical," and "NOAH." It is also the very first time that this version of "Peter Pan," will be staged in Asia. This timeless tale of the boy who never grew old is by written by Stiles and Drewe and the late Willis Hall! “People can expect a lot of flying from Peter Pan.” “It is a perfect show for the whole family,” Sam further says!